Paris is known as the city of Love but also famous for its sophisticated and delicious food. Let's take a day from your holidays to become a chef and enjoy the pleasure of cooking in Paris. 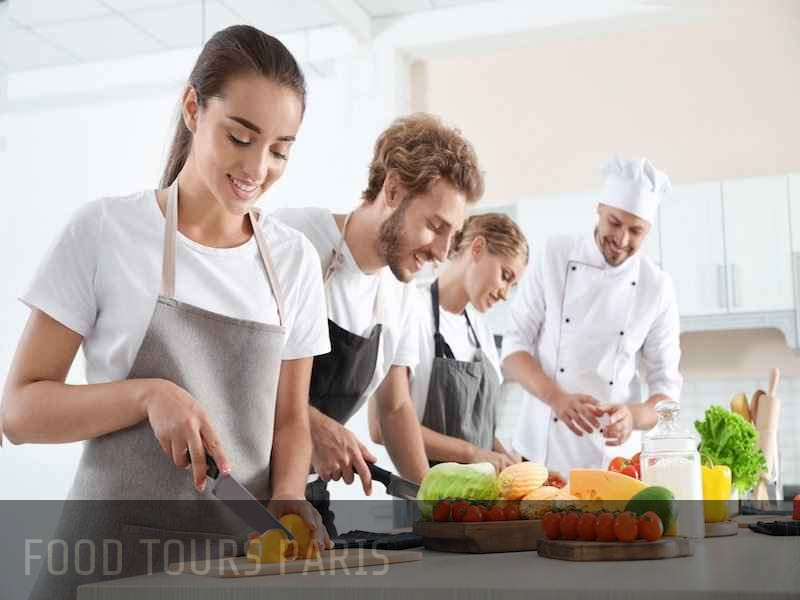 Coordinated by professionnal chefs, fluent in English, this great experience will immerse you in a daily chef life, where you will do activities from shopping in the local market, thinking on your menu, learning technics of cooking and of course ending with the pleasure to taste your own prepared cuisine. Being on holidays in France, the capital is a place you will cross and you should do a stop to admire all the sightseeing. There is so much to see but also to taste, sip, drink and smell. Among your to do list in Paris you must include a cooking class. Several food topics are available and for all of them you will have a lot of fun and pleasure in following the cooking class lessons. We know that tastes are different and not all international tourists have the same interest in food culture and learnings. That is why many courses are availabe half day or full day and with a wide range of thematics same as baking class paris and so many others. You can focus on areas like baking, desserts, sauces or even how to make the best croissant. You are also free to choose if you prefer to cook for lunch or dinner time. And in case you want more exclusivity, a private lesson can be also arranged. Junior chef lessons are also available! While parents are cooking on their side, kids are having fun too in the kitchen. For children, the lessons are oriented toward cooking desserts; with the great pleasure of concluding the lesson tasting their recipe as «the icing of the cake». It is a very good opportunity to mix culture and education in one activity. Do not hesitate anymore, book your lesson to live a yummy experience learning to cook in the heart of Paris. Your trip will not taste the same after that!